Wrapped up in my much-loved Burberry trench for rainy day brunch at Woodward Table and a visit to the newly-renovated Renwick Gallery. Actually a pretty fun thing to do with a baby – interesting shapes, bright colors, and just enough for a relatively short attention span. One day I'll have a burberry trench, haha. But I'll probably go with purple or burgundy just because I'm crazy. such a gorgeous and chic look! love the scenario! 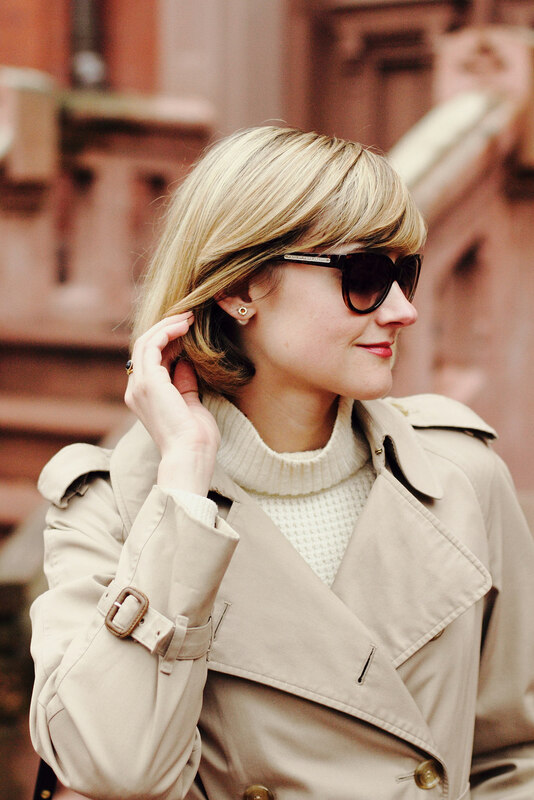 Loving your trench and those earrings! That trench is such a gem! Glad you've been able to get out with the baby, not always an easy thing to do, and I am loving your cozy waffle sweater as well. 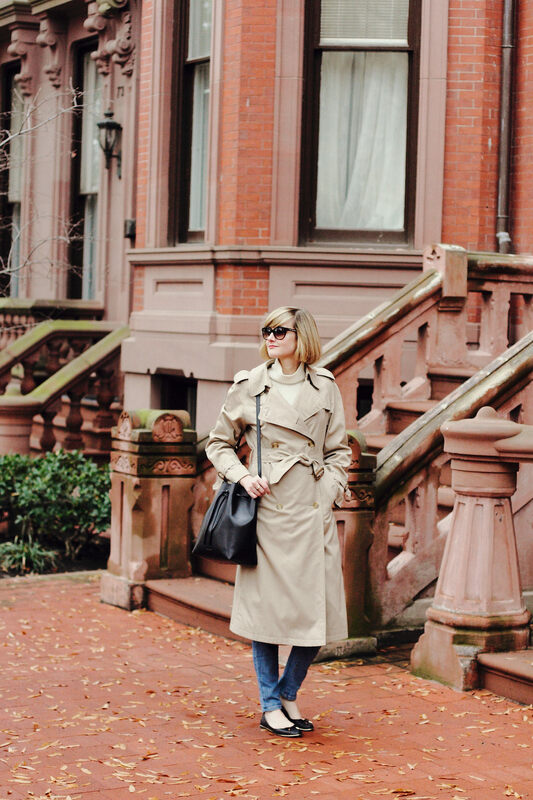 Love your trench coat! So chic!